Stepper is a simple wayfinding solution. While most of the modern wayfinding solutions focus on the optimised route, which could be one of the factor that separate pedestrians from the real street, Stepper is designed to enhance walking experience. Once a destination is set, Stepper always points the place with an arrow. The arrow rotates as a user walks. Users always can be aware of where they should head to by checking the arrow. 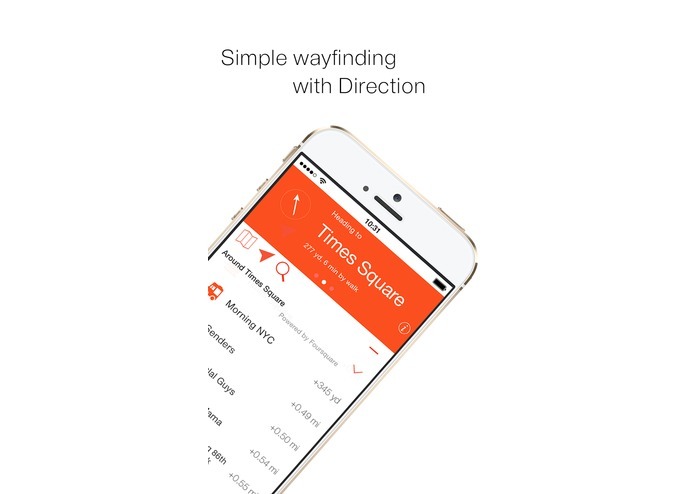 This is how wayfinding is possible without maps and routes. 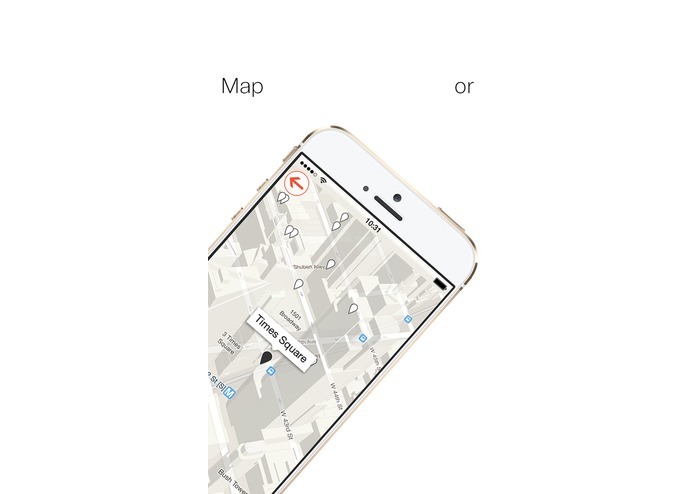 This mechanism lets users free from analysing bunch of information on the maps. When users do not need to worry about getting lost on the street, they can focus on real things around them, not on the maps and routes. 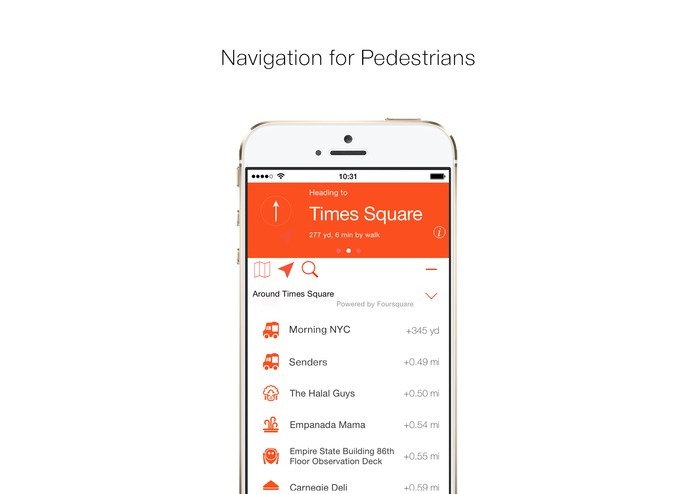 Users also can develop their own routes that will lead to enhancing walking experience. 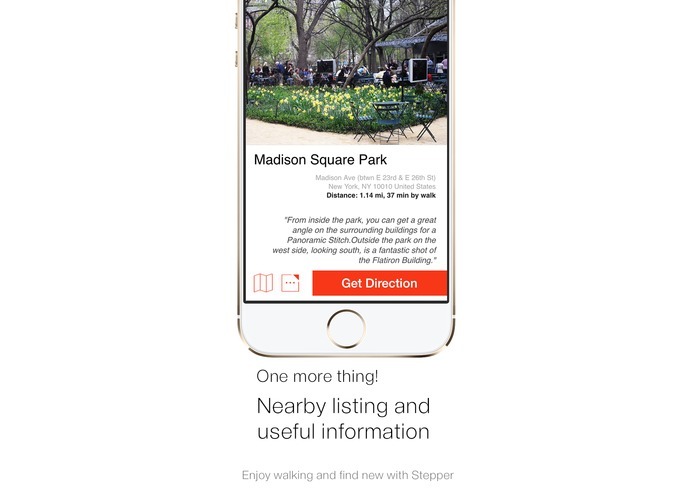 Based on the simple wayfinding mechanism, Stepper also provides nearby lists automatically; it includes hot spots like fancy restaurants, romantic cafes, historical places, awesome photo spots and so on. 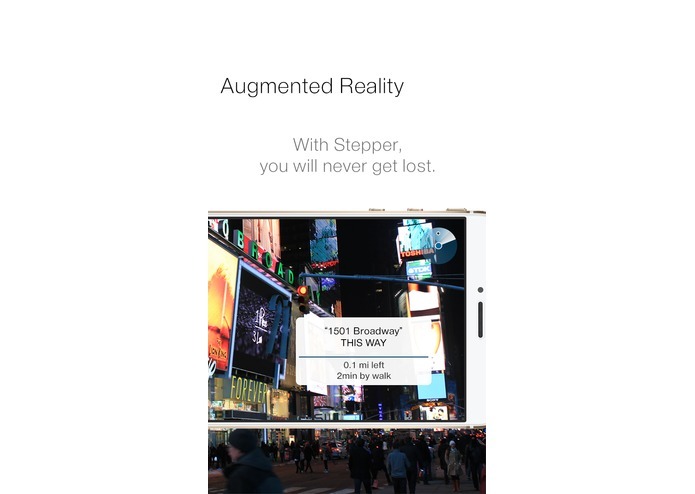 Stepper includes Foursquare and Flickr APIs, and it is designed to include additional APIs easily; any kinds of information can be provided to users if it has geographical data. For visitors of the University of Pennsylvania and Philadelphia, the simple wayfinding mechanism and near by lists will be beneficial. They will have more chance to concentrate on the local atmosphere instead of wayfinding. And the nearby lists will guide them to landmarks or spectacle even if they have no prepared tour information.